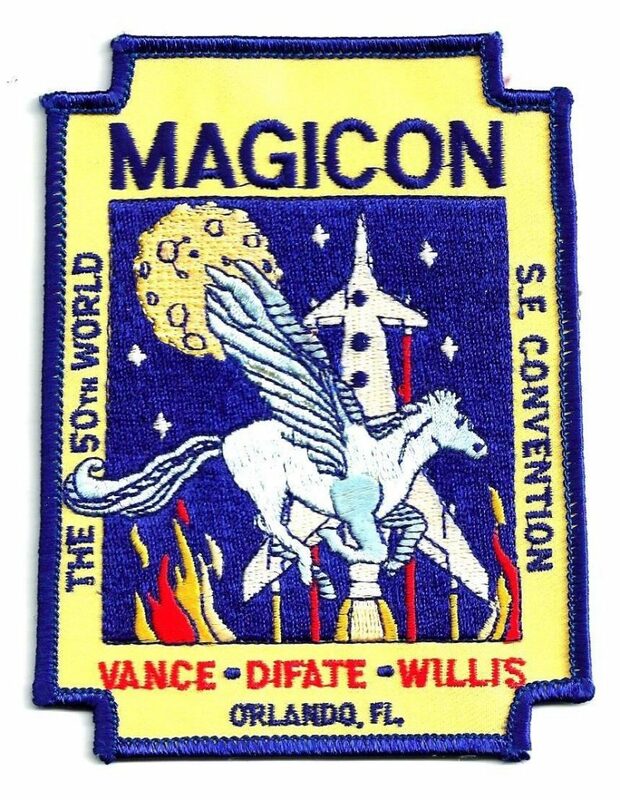 INTRODUCTION: Twenty-five years ago today MagiCon began in Orlando, Florida. A great con, and I thought it would be fun to reprint the report I ran in File 770. Here is the second of five daily installments. PROGRAMMING: Interview With Vincent Di Fate: Questioned about his career by Joe Siclari and Roger Reed, of Illustration House (a coordinator of the Di Fate retrospective displayed in the Art Show), MagiCon guest of honor Vincent Di Fate continued to dazzle listeners with his historical knowledge, critical perception and capacity for explaining technical art matter to everyday fans in understandable terms. Attracted by the set design of Rocket Ship X-M, the Disney style and the astronomical art of Chesley Bonestell, Di Fate brought to him profession a great deal of intuitive knowledge about the look of spacecraft and equipment. Answering another question, Di Fate observed that artists absorb a sense of how spaceships capable of flying in atmosphere must look from the way Cadillacs are shaped and the design of thousands of other familiar artifacts. Yet if the spaceship never needs to fly in atmosphere it can look like anything. One John Schoenherr black-and-white spaceship in Analog was based on a washing machine agitator; the artist created false details simply by varying his brushstrokes. An inspired track of programming recreated panels from the first Worldcon in 1939 — and even fielded one of the original panelists, Sam Moskowitz. Hal Clement gave a contemporary version of “Seeing the Universe”, Vincent DiFate paid tribute to Frank R. Paul’s 1939 talk “SF: The Spirit of Youth,” and after 53 years such panels as “The Changing SF” (this time with Gardner Dozois and Beth Meacham) and “The Fan World of the Future” have become traditional fare. 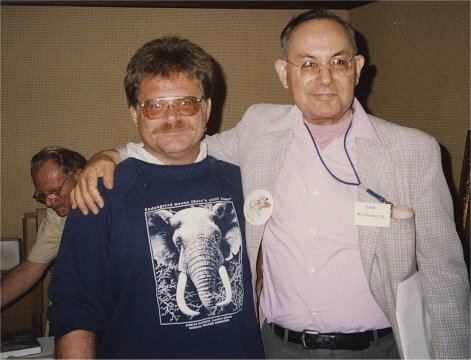 Rudy Sigmund and Sam Moskowitz at an ERBdom event in 1990. Sam Moskowitz delivered two talks at the 1939 con, one of them “The Fan World of the Future.” In concept, he was to deliver his original talk again, followed by a discussion between himself, Bruce Pelz, Wilma Meier and myself. By the time SaM got to the con he still hadn’t found his original text: perhaps it had even been extemporaneous. So he began with his own look back at the way fans lived 50 years ago, a series of recollections that enthralled everyone. In 1939 many fans still didn’t have phones — including the four who organized the first Worldcon. But in those days if Moskowitz mailed a Special Delivery letter by 6 p.m., the other party would get it by 11 if he wasn’t more than 50 miles away, at a cost of 3 cents. Progress isn’t always progress. Moskowitz’ own Fantasy Times in 1940 was the first offset fanzine. Early fanzines were often reproduced by hektograph: a process in which a typewriter’s impressions on a purple master were transferred to a bed of hekto jelly, and a careful fan could make about 60 readable copies by pressing down one sheet at a time. Most early fans didn’t own automobiles or travel by plane, but a legendary trek to the 1941 Denvention involved both forms of transportation. Art Widner owned a 20-year-old car that broke down every 15 miles. He and six friends from Boston and New York contributed $10 each for the round trip to Denver. Moskowitz winked, “Needless to say, there was a bit of thievery along the way.” One of the riders, John Bell, became so disgusted with Denvention he made the first recorded fan plane trip — home. 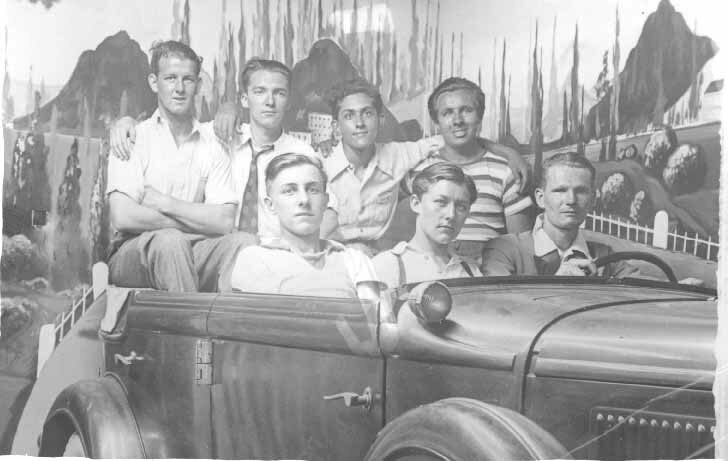 Returning to the topic Moskowitz said they planned to hold a 1939 World’s Fair Convention. The fair had agreed to give them meeting space, and declare it jointly “Science Fiction/Boy Scout Day.” But the fair expected fans to pay admission: three days at 75 cents, $2.25, was out of the question so “fair” was dropped from the name of the event. They also shortened it to a one-day con because none of the fans could afford a hotel room. Except Jack Williamson put himself up for $1 a night at Sloane House — sort of like a YMHA — an expense befitting his status as a successful author! The health and age of guests Vance and Willis contributed to each man’s decision to be interviewed rather than give a GoH speech. This was certainly a successful choice for Willis who sat surrounded by an audience of fanzine readers who were encyclopedically familiar with his work and offered questions more to express their appreciation than to learn anything new. 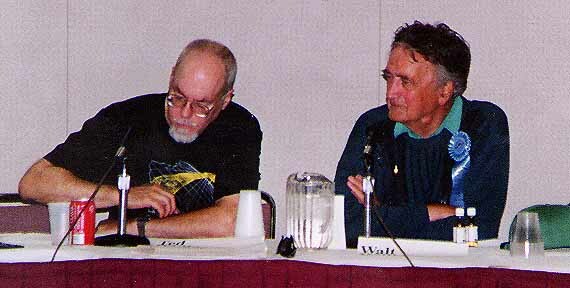 For example, Moshe Feder recalled, “I embarrassed Walt at Tropicon by saying it was like meeting somebody out of the Bible.” Then Feder asked who Walt admired in fandom. Willis answered that he admired Charles Burbee for his versatility, and Bob Tucker for his faanfiction. THE JACK VANCE FESTIVAL OF ALL WORLDS: Answering a call for jugglers, mimes and “balloon zoologists”, fans instigated an indoor street fair Friday night in honor of GoH Jack Vance. 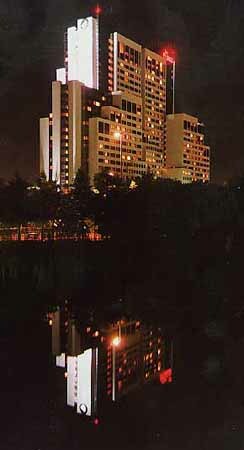 PARTIES: The Peabody had been designated the ‘party hotel’ so that hosts would reserve their rooms in a central location. Lloyd and Yvonne Penney brought their 14-year-old niece Nicole with them to the con who discovered the heavy-metal group Metallica was staying on their floor at the Peabody when she met them in the lobby. Counters at the “Slightly Higher In Canada” party said over 1000 fans came through in just one night. That made them better off than the Atlanta in ’95 bid party: I think when the thousand fans got there, they just stayed. Pressing through a solid wall of flesh to enter the party made me so claustrophobic I promptly shoved my way out again. According to Kurt Baty, Atlanta bidders kept a quiet VIP room in the rear of the suite and steered guests like Kelly Freas and Dave Kyle there to comfortable seats and the hospitality of a well-stocked bar. 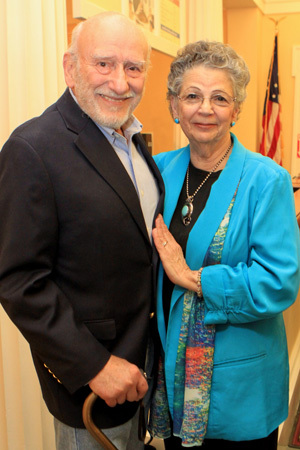 Carol and Murray Tinkelman. Photo courtesy Walt Engels. The YouCaring fundraising appeal for the Society of Illustrators’ Carol and Murray Tinkelman Scholarship Award is backed by famed sf artist Vincent DiFate. Murray and Carol Tinkelman were virtually inseparable in life and together they influenced and transformed the lives of thousands of young artists, many of whom are among the top illustrators of the day. 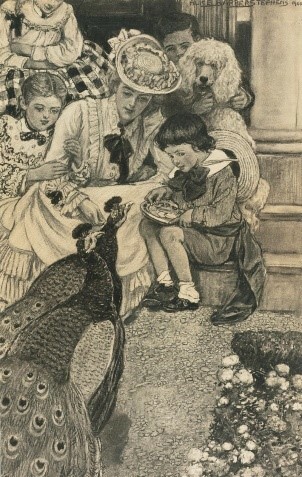 Murray was a Society of Illustrators Hall of Fame artist as well as Distinguished Educator of Art. Together, he as Director, and Carol as the Program Administrator, pioneered the development of graduate programs in illustration. These two wonderful human beings made our field better and richer and gave hope to many. Let’s honor them by funding a continuing scholarship for young illustrators eager to make their mark in the world. Every year since 1981 the Society of Illustrators has held the Student Scholarship Competition. In a competition which can kick start a career, students bring their most sophisticated, well-crafted and original work to be tested. A jury of professional peers, including illustrators and art directors, selects the most outstanding works created throughout the year. Pieces are accepted based on the quality of technique, concept and skill of medium used. Scholarship awards are granted to students whose work is deemed the best of the best. 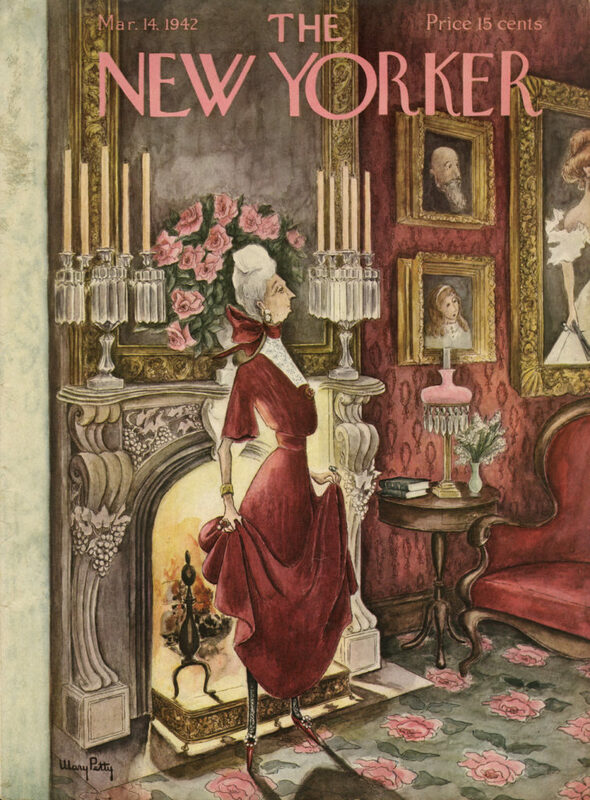 The Tinkelman’s lifelong dedication to the art of illustration and education impacted hundreds of creators. What better way to honor them then to establish a scholarship in their names, continuing their legacy of supporting our future illustrators. The goal is $5,000, of which $2,495 has been raised as of this writing. Acclaimed artist Murray Tinkelman (1933-2016) died January 30. He was 82. 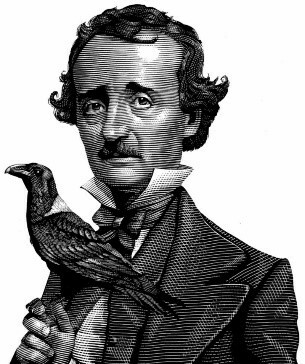 He was preceded in death by his wife Carol, who died January 16. In the 1960’s for example, he formulated an interesting method that applied colored inks and dyes to drawings rendered exclusively in line. Using this technique, Tinkelman almost single-handedly revolutionized the horror genre a decade later when his work began appearing on the covers of del Rey’s mass-market editions of books by noted horror author H. P. Lovecraft. 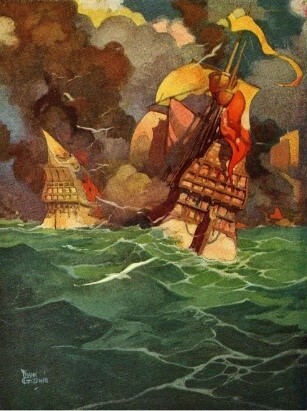 Murray Tinkelman’s illustrations appeared in Atlantic Monthly, The New York Times, and The Washington Post. The National Park Service commissioned him to do drawings and paintings of National Parks and Monuments. He was an artist-reporter on several U.S. Air Force missions. He had a one-man exhibit of his baseball art at The National Baseball Hall of Fame and Museum in Cooperstown in 1994. He also exhibited at The United States Sports Academy in Alabama, which named him the 1995 Sports Artist of the Year. His work is represented in the permanent collections of the Brooklyn Museum, the Delaware Art Museum, the International Photography Hall of Fame & Museum, and the New Britain Museum of American Art. In 1956, Tinkelman joined the celebrated Charles E. Cooper Studio and remained there until its disbanding, some eight years later. From the mid-1960s on, he became fully freelance and pursued simultaneous careers in illustration and as a painter of abstract expressionist artworks. In 1970, was named Artist of the Year by the Artists Guild of New York for his work as an illustrator. He also enjoyed a reputation as a great teacher. In the late 1960s he joined the faculty at the Parsons School of Design and, as its Associate Chairperson. He later taught at Syracuse University, in its undergraduate and graduate programs. He received the 2001 Syracuse University Faculty Service Citation. He also was named the recipient of the 1999 Distinguished Educator in the Arts award from the Society of Illustrators in New York, the second living artist/educator to be so honored. 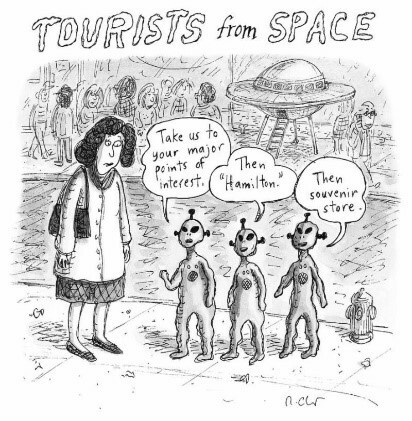 In the spring of 2013, Tinkelman he received an honorary doctorate from Ferris University’s Kendall College of Art in Grand Rapids, MI, and was inducted to the Society of Illustrators’ Hall of Fame. “And I don’t have a cold,” he sarcastically noted. Editor Gardner Dozois and artists Vincent Di Fate and Jean “Moebius” Giraud are also being inducted. For Harlan Ellison it never rains but it pours. Lucky for him it’s raining honors this week. He learned from the Science Fiction Museum in Seattle that he’ll be inducted into the Science Fiction Hall of Fame this June. His editor at IDW greeted him with the news that his hardcover graphic book Phoenix Without Ashes entered the New York Times Bestseller List at #6 in its first week of publication – Harlan’s first-ever appearance on that list. And the Encyclopaedia Britannica has created an entry about him. According to Harlan, “I am right next to Ralph Ellison, just following Ellis Island. What a wonderful thing.” Call it a story of requited love. Harlan has been irresistibly attracted to the encyclopedia since he was a kid. When he accepted the 1970 Forry Award Harlan told those of us at the banquet about his times as a young fan in Cleveland. Harlan joined the first local sf club (Andre Norton was also a member). He started collecting. Then… “I went into the phase I called ‘liberating’ volumes from my high school library. I stole the first 23 volumes of the Encyclopaedia Britannica. They never suspected a thing. But then I got greedy, and they finally caught me when I tried to stuff both the Index and the World Gazetteer under my jacket…” So now the circle has closed in a way his high school librarian would not have predicted. It’s a well-deserved accolade. 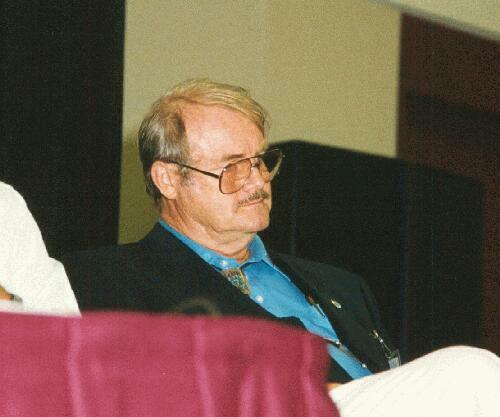 Locus reports that the full list of 2011 inductees to the Science Fiction Hall of Fame includes Ellison, Vincent Di Fate, Moebius, and Gardner Dozois. The Science Fiction and Fantasy Hall of Fame was founded in 1996 by the Kansas City Science Fiction and Fantasy Society (KCSFFS) in conjunction with the J. Wayne and Elsie M. Gunn Center for the Study of Science Fiction at the University of Kansas. Four individuals are added each year, chosen on the basis of their continued excellence and long-time contribution to the science fiction field. 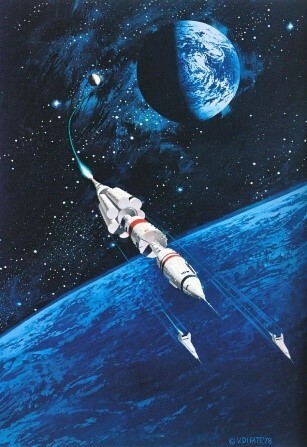 John Hertz’ contribution to Collectingsf.com in November was a review of Vincent DiFate’s 320-page coffee-table-sized art collection, Infinite Worlds (1997).